The recent leadership changes at DHS and its subordinate agencies have been predicated on President Trump's desire for "tougher" managers. Things are indeed out of control, as is clear from the shocking statistics on illegal border arrivals, which have shot up and include never-before-seen percentages of women and children, as opposed to adult Mexican males; the statistics on immigration court backlogs (well over a million and climbing); and the statistics on the number of unexecuted final orders of removal against aliens who have fled from their due process hearings. But I question whether — if that is the standard by which leaders should be judged, and frankly it should be — the president himself measures up. I'm not sure he does. There is not only his inconsistent willingness to stand up to Congress, or Mexico, or Central American nations, but also the fact that he often undercuts his own policies and positions. Just to give two glaring examples of several that come to mind: He pushed to have additional discretionary slots opened up by the Department of Homeland Security (DHS) in its already full-to-the-brim cheap foreign worker programs; and he said he would end Deferred Enforced Departure (DED) for Liberians, then changed his mind and ordered it extended (see here and here) even though, like the Obama DACA program he is fighting in court to end as unlawful, it has no statutory basis. Not everything can be laid at the president's doorstep, of course. Congress deserves a fair share of the blame — particularly the Senate with its obtuse and anti-democratic, old-boy rules that for several years prevented getting good immigration legislation passed, including most particularly amendments to the asylum law and the laws governing return of non-contiguous country minors, both of which have much to do with how and why our southern border has reached crisis point. But there are things that could be done in areas where he and his administration have not attended to business, perhaps because it means getting down far enough in the bureaucratic weeds to understand how to control the key choke points within agencies and their personnel that can change things, and then to do what's needed. Rich Lowry has addressed one of them in a blog at National Review Online regarding the officers who handle asylum and credible fear claims at U.S. 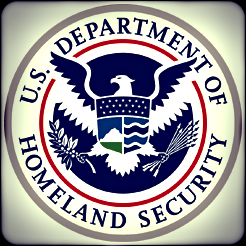 Citizenship and Immigration Services (USCIS), a subordinate DHS agency. Lowry is right when he says that the right kind of people with the right kind of policy guidance are needed to handle asylum and credible fear claims to ensure a well-functioning, balanced system. Right now, there is a huge mismatch between the number of claimants who are deemed to have a "credible fear of return" vs. those who actually end up obtaining asylum. This suggests that those officers are casting their net entirely too wide. The irony is that, when the credible fear mechanism was created in statute, its purpose was to eliminate frivolous and non-meritorious claims, not open the door wider. And it is that mismatch that contributes mightily to the glut of illegal arrivals that has put both the Border Patrol and Immigration and Customs Enforcement on the edge of paralysis. It's worth noting that USCIS, which operates on fees generated from benefit applications and petitions, right now has in its examinations fee coffers over a billion dollars. The administration should use some of that money to increase the cadre of officers handling asylum and credible fear claims, and exercise sound judgment over how those new officers are selected. Some may claim that this is "politicizing" the bureaucracy, but only a fool would think that the Obama White House didn't already do that — not only at USCIS, but within the immigration courts as well, when, under the direction of Domestic Policy Advisor Cecilia Muñoz (formerly No. 2 at the National Council of La Raza, which recently changed its name to the less racially insensitive "UnidosUS"), a quiet but concerted effort was made to hire immigration examiners and immigration judges who shared the same liberal-progressive philosophical values as that administration. The Trump administration needs to learn from its crafty predecessor. Kris Kobach, former Kansas secretary of state, and former head of the Trump-created and then dissoved voter integrity commission, has also suggested another thing that might be tried. The president could by executive order end remittances to Mexico to force that country to come to the table and negotiate a safe-return bilateral agreement, which would also aid in ending the current flood of economic migrants posing as asylees. Third, my Center colleague Andrew Arthur has in past postings suggested that there may be a basis in law for the president to order universal E-verify on a nationwide basis. It's worth pursuing. Verifying employees' work eligibility would go far toward reducing the availability of cheap, under-the-table workforces like the one recently found at a Texas company specializing in refurbishment of phones and other electronics. These are just a few ideas that could be entertained by this administration if it chooses to really get serious about immigration and border control, beyond a "Build the Wall" mantra that sounds great at pep rallies, but isn't going to solve the thorny dilemma of completely regaining control over our own destiny, and that hasn't actually constructed (or even funded) any border barriers yet in any case. But doing any of this will require the president or his aides to be willing to get down in the weeds and begin to understand those things that can and should be done outside of the congressional deadlock zone — things that are directly under his control, and that of well-selected, knowledgeable, and driven leaders throughout DHS and its subordinate agencies. If the president chooses to purge his DHS leaders, then let's hope his next go-round of choices measures up to the enormous tasks ahead.